The Woburn COA Transportation Department is committed to helping seniors retain their independence by offering transportation assistance. Veterans Memorial Senior Center, 144 School St., Woburn, MA 01801. Serves the needs of groups of seniors traveling to and from programs at the Veterans Memorial Senior Center. This is a free service, funded by the City and the MADOT. Offers assistance in paying for taxi travel by contracting flat rates and by helping low income seniors pay for the contracted fares. The Taxi program is designed to transport individuals at their convenience. The COA has three handicapped accessible vans with wheelchair lifts, that offer daily “curb to curb” service to COA programs. “Curb to curb” service is for independent passengers: drivers do not offer assistance into or out of the home or Senior Center. Mobility aids such as walkers are encouraged, and drivers will safely store and retrieve them. Passengers must meet the Senior Center Standards of Independence, or be accompanied by a capable assistant. The vans operate on a schedule based on COA programming. Times are approximate, subject to change at any time, and may not be available due to weather conditions. Any Woburn Senior aged 60+ is welcome to join the program. 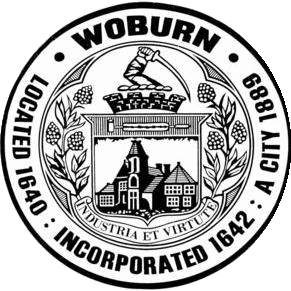 The COA has contracted flat rates for travel in and around Woburn. For a yearly registration fee of $5, participants are given an ID card entitling them to these flat rates. The current rate contracted for rides in Woburn is $8.00 for a one-way trip. Seniors wishing to purchase discounted tickets must provide proof of income (current Federal low income guidelines are $48,800 for an individual, $55,800 for a married couple) Discounted tickets are $3 for a one way trip. The City and EEOA pay the additional $5.00. Up to 20 vouchers per month may be purchased at the $3 rate. Unlimited additional vouchers may be purchased for the regular $8.00 rate. Voucher rides outside of the City are for medical reasons only, although members always receive 20% off of Checker Cab’s regular fares when traveling to locations not listed on rate sheets. The Taxi Office is open from Monday through Thursday from 10AM until 1PM. The office is closed Fridays. Vouchers prepared during Taxi Office hours may be picked up at the Reception Desk during regular Senior Center hours. Vouchers left in Reception must be paid by check before or at time of pickup. Please note the Taxi Program DOES NOT ACCEPT CREDIT CARDS. Cash or checks made payable to “WCOA”, are the only accepted payments. The RIDE is operated by the MBTA. The Woburn Senior Center is not affiliated with The RIDE. For more information, please visit the MBTA website. Please feel free to contact us during regular business hours with any and all questions. To Schedule a ride on one of our vans: 781-897-5964; please notify us at least 48 hours in advance.